For Lease All Locations, South Carolina, Florence Second Loop Rd. 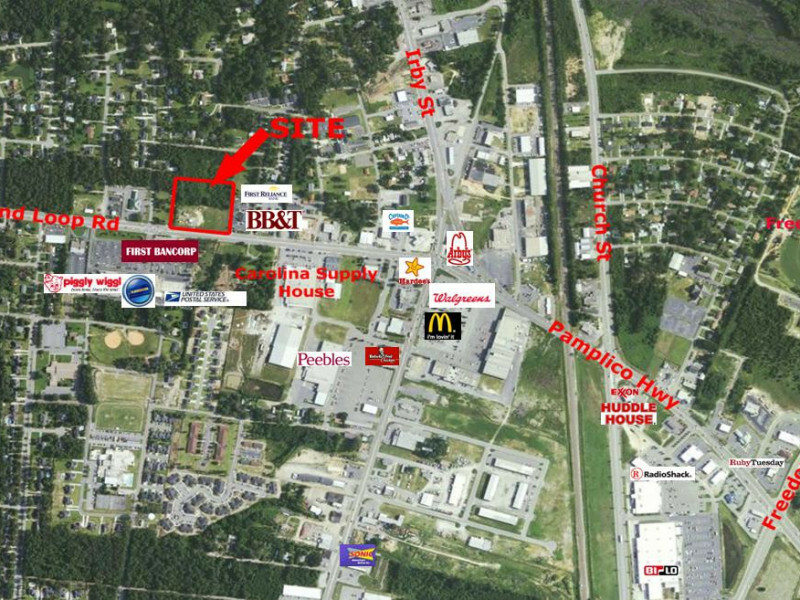 This highly visible commercial development site is situated on Second Loop Road, Florence’s premier business thoroughfare between South and West Florence. The site is located between the Five Points and South Irby Street Retail/Office Areas and consistently provides some of the heaviest traffic flows in the Florence market. The property is ideal for office, medical or retail uses. Subdivision into two parcels will be considered. City sewer on Constantine, Helen & Katherine’s Ct.